Tour Description: Airport pickup by our private guide who will hold a sign with your name on at the arrival hall. Drive to the beautiful royal garden Summer Palace to trace the past leisure life of Chinese emperors. Then head for the Beijing Zoo to see the cute pandas. Back to airport after the trip. I arrive on a Friday afternoon in Bejing for a 8h layover. Any chance I can go to the Panda Zoo for a couple of hours? Are there any tours available for that? We can arrange the Panda Zoo tour for you. Please let us know your flights times and how many people do you have, then we will make a tour itinerary for you. 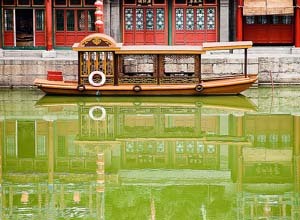 I would arrive at 4:50am in Beijing and my flight leaves at 2:00pm to Bangkok, is my arrival too early for the Summer Palace and Panda layover tour? Also, if I wanted to cut the Summer Palace short and spend more time at the Beijing zoo would it be possible? According to your layover time, you will have enough time to do this tour. We will pick you up from airport at 6:30am. Since this is a private tour, you can decide to stay longer or shorter time at each attraction. We just sent you an email about detailed tour itinerary with the timeline, please check it out. Two of us arrive into Beijing airport at 6:30am and leave at 16:25 the same day. What would we be able to fit in in this time period? 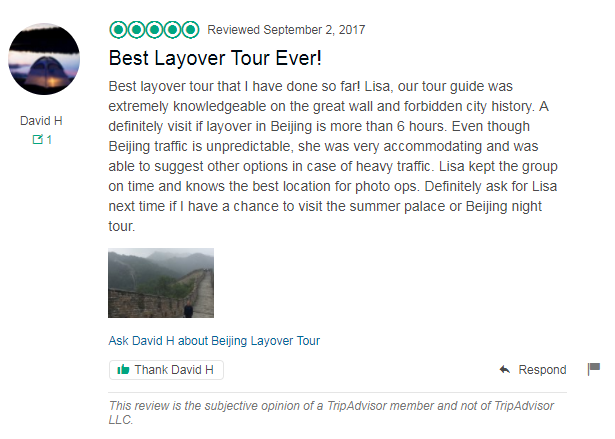 Yes, you will have enough time to do this Beijing layover tour. We have sent an email to you, please have a look. Thank you! I’m travelling from Australia to France with an 8 hour stopover in Beijing. Will this be a suitable tour for our stopover with plenty of time to get back to the airport? and how much is the tour? We fly over on boxing day. Our travel advisor just sent an email to you, please check. Thanks! My friend and I will be arriving in Beijing around 5pm and our next flight will not leave until 6:30 am. But most of the tours seem to be in the afternoon. Are there any evening tour options? Sorry, we do not have tours in the evening.